Beauty Around It: Healthy-ish Pizza!! Let's just say it's healthier than Digiorno pizza! I made a delicious homemade pizza last night that took about 35 minutes. I used Trader Joes pizza dough for the crust and made it really thin. 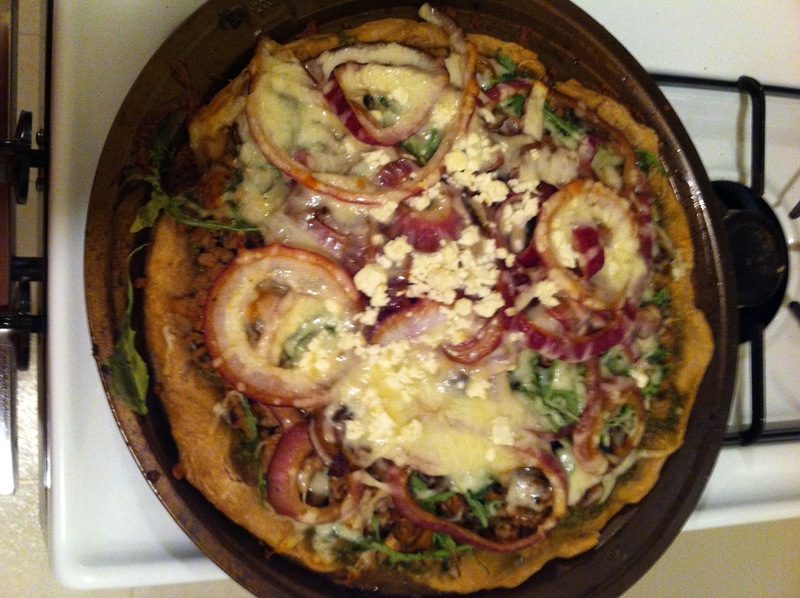 I would highly recommend making this pizza, it was DELICIOUS! 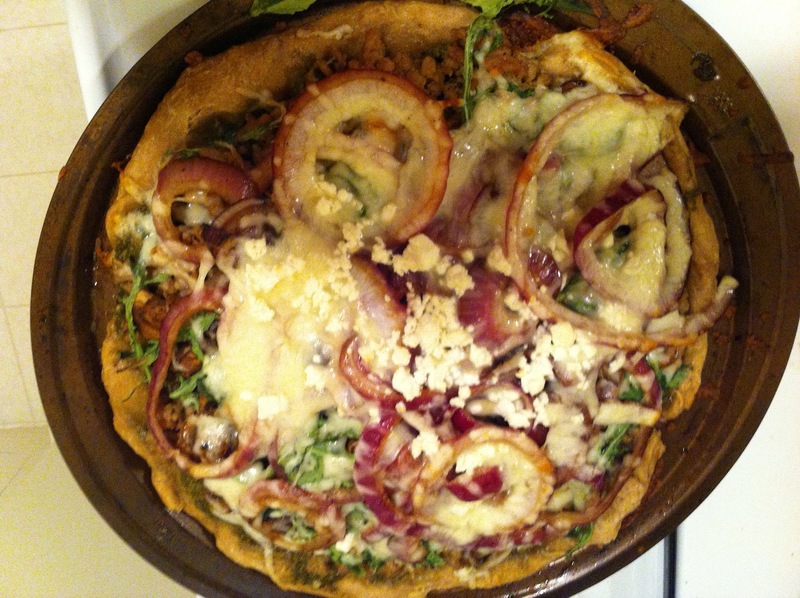 Sprinkle with fresh arugula, mozzarella cheese, and a little feta cheese on top!! Looks delicious, I'm going to try it tonight!